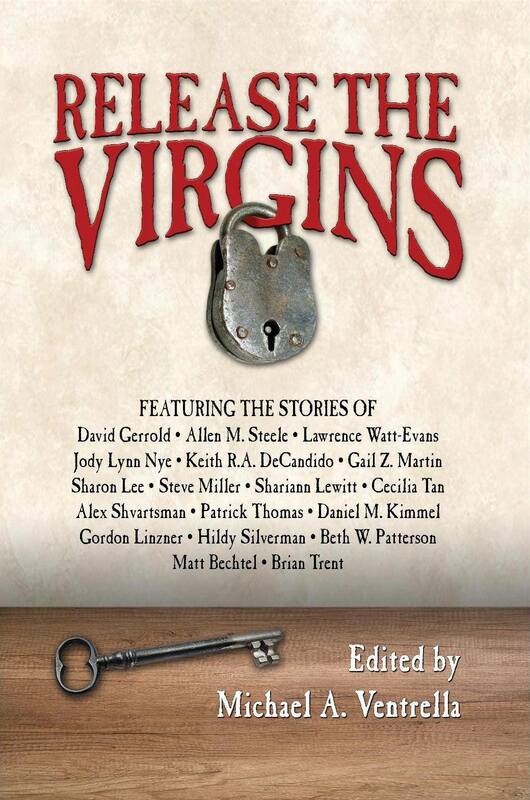 So I was invited to contribute a story for an anthology called Release the Virgins. The only rule was that the story had to contain the phrase "release the virgins." I agreed to give it a shot. I'm a fantasy writer. You say "virgins" to me, and I immediately think of unicorns. And "release the virgins" implied some sort of organization -- I mean, someone is telling someone else to release the virgins, plural. Clearly there's a group effort involved. And next thing I knew I had the story written, and it was accepted and wound up as the first story in the book, and there it is, and you can buy it.